A report by the Wall Street Journal suggests that Google is to launch a music search service in India over the next couple of days that will enable users to search for legal streams and online downloads of music, an attempt at curbing the high levels of piracy that hamper India’s entertainment industry. 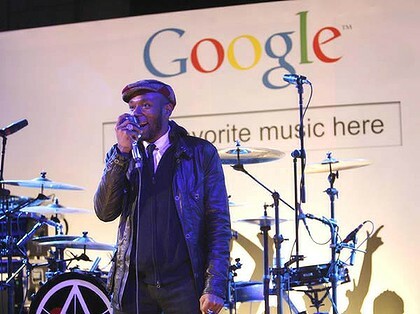 Google is said to have partnered with three digital music providers, companies that cumulatively have rights to hundreds of thousands of Indian music tracks. When Indian web users search for a track via Google, the company will tweak its search results so that its top search results will be streams and links offered by Google’s partners; Saregama India Ltd., Saavn and In.com. When a user clicks on a link offered by one of these companies, a pop-up will be launched and the track will be streamed for free, reducing the need for the user to find an alternative download source. Google employed a similar tactic in the US, offering users the ability to listen to tracks from Lala.com (which was bought by Apple and closed down) and Myspace. 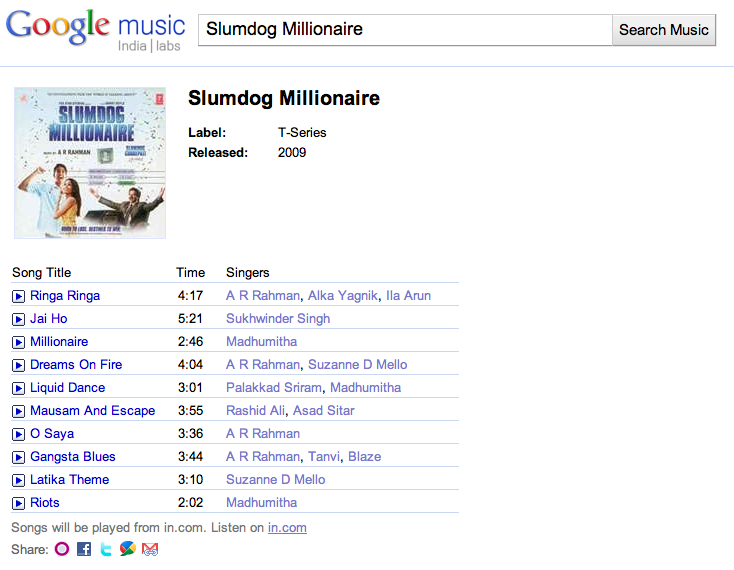 The company isn’t looking to profit its Indian music venture, at least not right away. Even though piracy is rife in India, the country’s music market is expected to grow to $590 million within the next four years, most of which will come from its wireless industry. It is thought that over 30% of the overall music industry sales can be attributed to sales of ringtones and songs purchased by the country’s 670 million mobile phone owners. Update: We have just gotten wind that the search service is now live and can be accessed at http://www.google.co.in/music. The service works outside of India and as you can see, uses one of the companies mentioned above to provide the streams. Looks like the WSJ report was 100% on the money.